Losing weight is not just about diet and exercise. It’s about giving your body what it needs to function efficiently. In modern society and as we age, our bodies get depleted of key nutrients needed to maintain a healthy body weight. With regular exercise, a balanced diet and the proper dose of supplements, we can enhance weight loss and maintain a healthy body. There are a plethora of supplements that can improve weight loss, increase muscle gain and offer a healthier lifestyle. Choosing the right supplements means figuring out what your goals are and what you hope to achieve. Below are four key supplements to help you on your weight loss journey. Coenzyme Q10 (CoQ10), sometimes referred to as ubiquinone, is an antioxidant already produced in the body that allows your metabolism to function more efficiently. As we age, the production of CoQ10 in the body lessons, causing muscle mass and bone density to decrease. CoQ10 helps to slow that process down. CoQ10 has been known to maximize the burning of foods for fuel and help to normalize fats in our blood by releasing the fats from storage and enhancing metabolic function. CoQ10 produces more energy for the body. Hoodia Gordonii is a leafless succulent plant, resembling a cactus, found in South Africa that has been known to suppress hunger and quench thirst by fooling the brain into thinking that the body is full. It is said that San Bushman relied on Hoodia Gordonii to satisfy hunger and thirst during hunting trips. Creatine is an organic acid naturally occurring in skeletal muscles that helps to supply energy to the cells of the body. It is a widely used supplement for weight loss because it fuels the muscles and creates a longer fat-burning process when the body is at rest, even hours after eating or exercising. 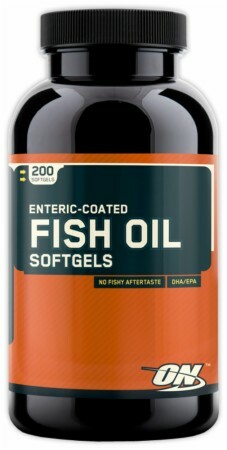 Fish Oil is derived from the tissues of fish such as salmon or mackerel, which are rich in Omega-3 fatty acids. These nutrients provide a variety of health benefits to the heart, joints, nervous system and the brain. Because most people don’t eat a lot of fish, we get depleted of these fatty acids and need to supplement our diet. Fish oil is used for weight loss because it is known to accelerate your metabolism with regular consumption. With a healthy diet, regular exercise and nutrient rich supplements, losing weight becomes easier. As with any weight loss regime, you should consult your doctor for help designing a program that fits your body, your goals and your lifestyle. This post was written by NutraPlanet; they offer a wide variety of health, vitamin and bodybuilding supplements for those looking to live healthy, stay in shape or train professionally. Find product information, news and reviews on a wide variety of products from OxyElite Pro to Piracetam.